Torsion garage door springs play a “heavy” role in a garage door. It is the one responsible for lifting the heavy door day in and day out. The regular mechanical stress can trigger it to break. 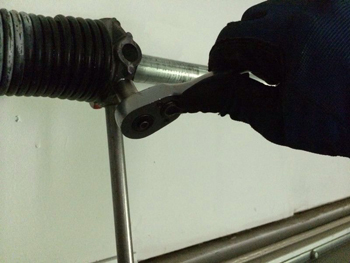 Most garage owners do not really know what a torsion spring is or how it is fixed. They do not also know what causes problems related to these springs. These springs are one of the two types of springs used in garage doors, and these are attached above a closed garage door. Daily wear and tear is one of the main reasons why torsion springs fail. A good quality spring that is properly installed in your garage can last for up to ten thousand cycles. A cycle is made up of one opening and closing. A minimum of two cycles a day is gone through by most residential garage doors. Rust is another enemy of an overhead door, and it affects the springs because it increases its friction. It can also cut short its lifespan since it causes it to weaken over time. Some homeowners spray a lubricant to prevent corrosive rust. These sprays do not take much of your time and budget since most of them are applied only a few times a year. During winter, it is best to be more cautious of the door because the weather affects its performance. Springs in perfect condition keeps a door balanced. If the door sags, it is a sign that the springs are starting to wear. 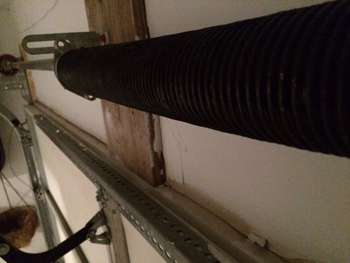 You can easily ask for garage door torsion spring replacement from a qualified contractor if it reaches its lifespan. Periodic maintenance allows springs to reach its maximum lifespan. You can ask for this service to better take care of your entire door system and not just the springs.